Add fresh style to your outdoor adventures. 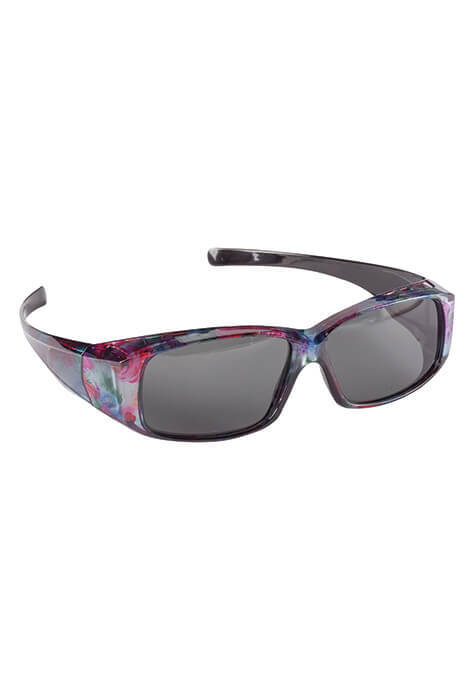 Fashionable Floral Fit-Over Sunglasses fit right over your prescription eyewear, so there's no need to buy expensive custom sunglasses or settle for plain frames. Polarized lenses help block UV rays for healthier eyes and comfort without squinting. 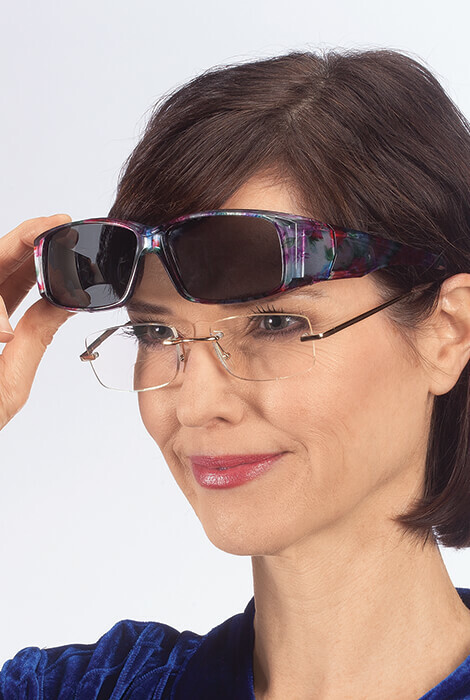 Wide temples block peripheral rays for maximum coverage. Durable plastic. Can't afford prescription sunglasses and these are very stylish.